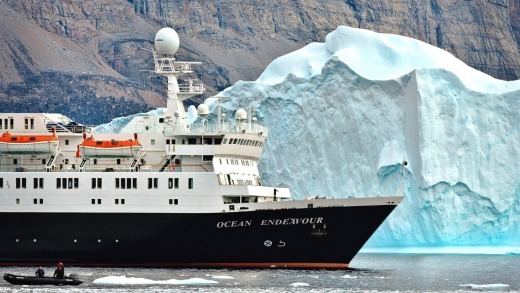 During the pre-cruise briefing for Adventure Canada's 15-day expedition to Greenland and Labrador in Newfoundland, expedition leader Jason Edmunds says we will sail more than 2000 nautical miles (3700 km), cross cultural borders and travel through bear territory – black and polar. 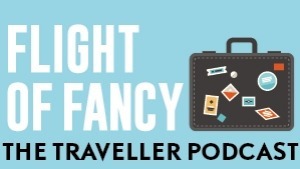 He emphasises that the "intended itinerary" is just that – intended, and we should be prepared to expect the unexpected. We're up at dawn for the flight from Toronto to Kangerlussuaq, Greenland, a journey that should take about six hours, including a fuel stop at Baffin Island. Our First Air 737 is the first of the two charter planes to land at Iqaluit – a spectacular descent through sunlit clouds over white-cap dotted sea and snow-scattered mountains – but for technical reasons the aircraft is grounded for two and a half hours. No biggie, we're in a pretty remote spot and it's better to arrive late than not at all. Cut to our arrival onboard Ocean Endeavour some 10 hours later. It's dark and we've now crossed the Davis Strait three times, having been unable to land at Kangerlussuaq first time around which meant a return to Iqaluit to wait for the second attempt. Emergency glasses of wine are dispensed to keep the mood boosted and it's certainly an early lesson in expecting the unexpected. But on the chilly Zodiac ride to the ship, the day's frustrations vanish in an instant when the sky comes alive with rolling, flashing green Northern Lights. Oh yes, this is a magnificent welcome to Greenland. We see a tiny sliver of the west coast of the world's biggest island over the next few days. 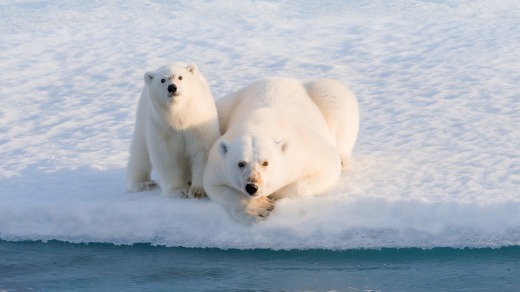 It is the start of an eye-opening journey into Inuit country and cultures, over oceans and land masses covering boundless areas of icy, rocky wilderness. Seeing and hearing a glacier calving – the breaking off of ice chunks – on our first Zodiac excursion in Evighedsfjorden, "fiord of eternity", is as perfectly timed as last night's Northern Lights show and a magical start to our adventure. 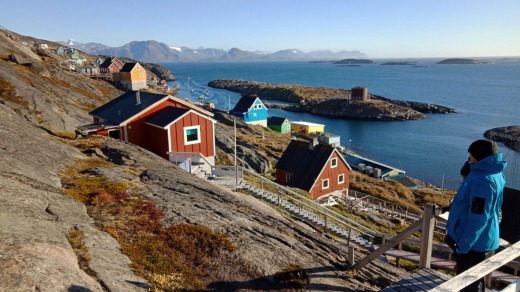 Our first landing is at Kangaamiut, a tiny fishing village in the Qeqqata municipality. 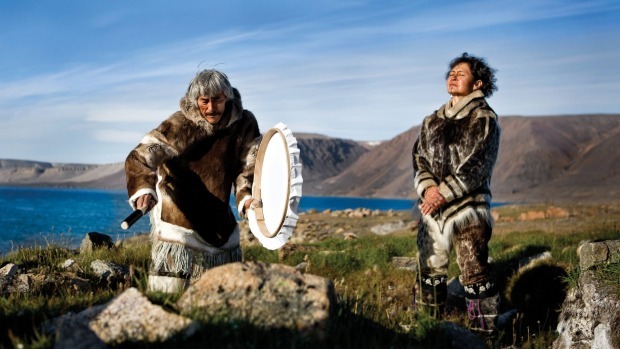 An Inuit woman greets us with a traditional drum dance, we listen to an eight-strong choir singing hauntingly beautiful songs in the packed local church and witness a seal flensing near the dock. Ocean Endeavour's onboard culturalists stress that this is not compulsory viewing but that sustainable seal hunting is a vital part of Inuit culture. Choice bits of liver and blubber are shared among the group of onlookers – locals and visitors alike – but I confess, I only go as far as observing. 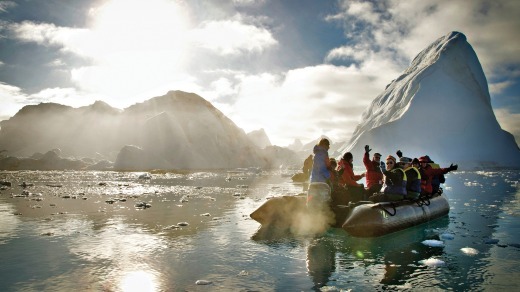 There's a lot to take in, let alone learning how to pronounce the place names on our itinerary, but Adventure Canada's team of 30-plus expedition leaders, culturalists, scientists and photographers impart an impressive range of expert knowledge in lectures, presentations, workshops and on-shore excursions. Renowned Canadian photographer Michelle Valberg is on board and as well as documenting the voyage, she plays an important role in Project North, a non-profit organisation that supplies sporting equipment to children in the Canadian Arctic. As we sail towards Nunavik (Inuit-governed territory that covers one-third of Quebec province), enthusiastic passengers join Valberg's packing party to put together ice-hockey kits that we later deliver to the community centre in Kangiqsualujjuaq village. It's cold and almost dark when we arrive but the reception we receive, and the hockey game played (hard) by locals and passengers, is enough to warm hearts for a long time to come. The weather turns colder and wilder as we head towards Akpatok island, north of Kangiqsualujjuaq in Ungava Bay. There's ice on the ship's deck and 55-knot winds and rough seas are forecast. Captain Donael Soto keeps the ship in a holding pattern in the lee of the island until conditions permit the transit to Torngat Mountains National Park, on the Labrador Peninsula. 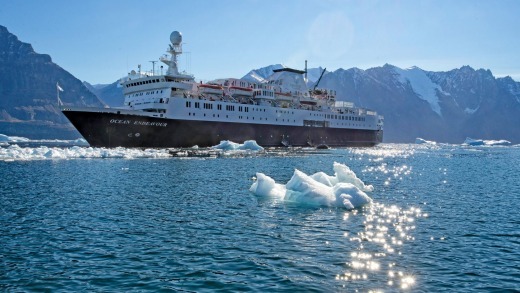 Everyone is on deck as the ship enters Nachvak Fiord. Sunrise adds a surreal touch to this wildly beautiful terrain and as the ship approaches Ramah Bay, a polar bear alert is broadcast across the ship. I can't believe I'm actually seeing a polar bear in its own, lonely territory, let alone managing to capture images of it on my iPhone. Black bears also roam these parts and armed crew members patrol landing areas. We see plenty of evidence of the bears' presence in berry-packed droppings but the few we spot are foraging on distant hillsides. Other wildlife sightings are frequent and thrilling: humpback whales, seals, minke whales at very close quarters from the Zodiac ride to Nain, and too many seabirds to list here. Apart from the peregrine falcon who made himself at home on the Zodiac racks one windy morning. When Ocean Endeavour drops anchor in Nain, mayor Joe Dicker comes aboard to welcome us to his town, the administrative capital of Inuit-governed Nunatsiavut. He explains that missionaries from the protestant Moravian faith established a settlement here in 1771 and Nain's wooden church, rebuilt several times since then, is still well attended. There is a fascinating history of Moravian-Inuit brass bands and one of Nain's finest play us as we disembark. Near the dock we meet Noah, a kayak instructor, in his workshop. He not only builds traditional Inuit kayaks but possibly knows even more about their heritage and use than author and explorer Jerry Kobalenko, a passionate paddler who presents great talks and films on the ship. This journey is a constant learning experience. Our next port of call, L'Anse aux Meadows on the Newfoundland coast, is the only known Viking settlement in Canada. L'Anse aux Meadows is a World Heritage Site and the story of its discovery by Norwegian explorer Helge Ingstad and his archeologist wife Anne Stine Ingstad in 1960 is as compelling as the place itself. A boardwalk trail takes you around the site where you can see original Norse dwellings dating back at least 1000 years and further along, enthusiastic actors dressed as Vikings demonstrate crafts such as blacksmithing and making bog-iron nails in cleverly re-created sod huts. This experience-packed voyage comes to an end in scenic St Johns, North America's oldest city. It takes days, weeks, to process priceless memories, some funny, some moving but most of all incredibly educational. Every morning, expedition leader Edmunds broadcasts a wake-up call in his rich, deep voice and one of my favourites is when he quotes from John Steinbeck: "A journey is like marriage. The certain way to be wrong is to think you control it." Adventure Canada was founded in 1987 by Matthew Swan, his brother Bill and their friend Dave Freeze. Today, Matthew's daughters Cedar Swan and Alana Faber are CEO and VP Operations respectively, and son Matthew James is director of business development. Cedar's husband Jason Edmunds is an expedition leader, Alana's husband Brian Faber and Matthew James' partner Devon all work in the company. A family member travels on every voyage. As well as supporting several community projects, Adventure Canada runs the Young Explorers Program in conjunction with the Explorers Club. 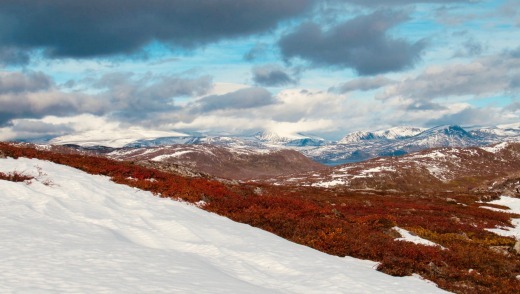 Participants are between 18 and 30 and join select expeditions to learn about the Arctic and contribute to the world's understanding of the region through their research.